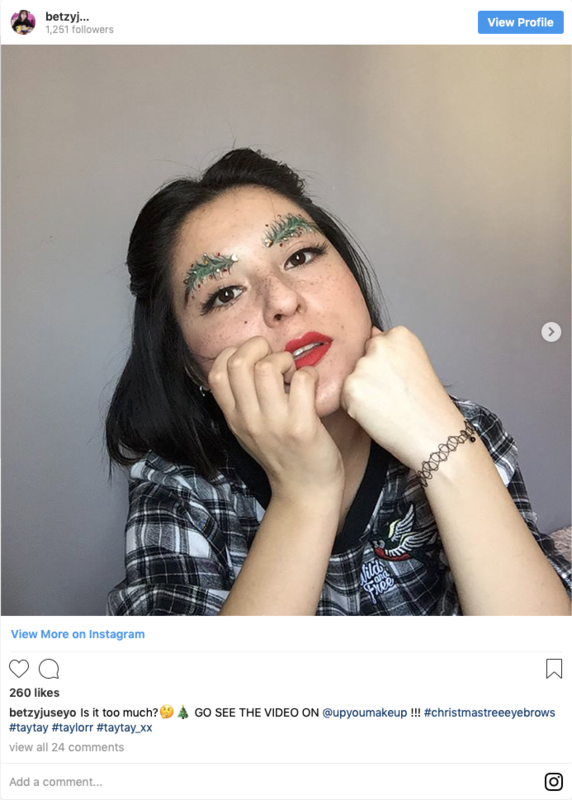 ♫ Just hear those sleigh brows jingle-ing, ring-ting tingle-ing, too. 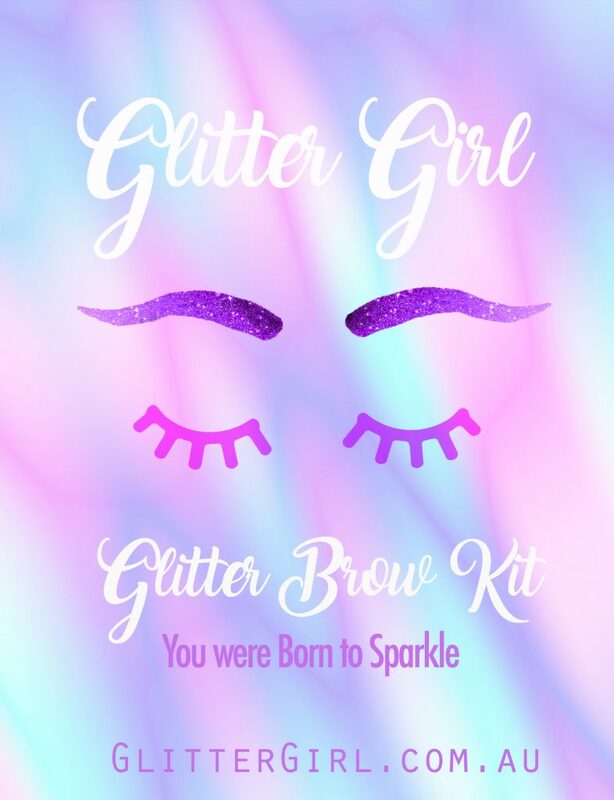 ♫ It’s the holiday season, and that means it’s time for another new eyebrow trend. 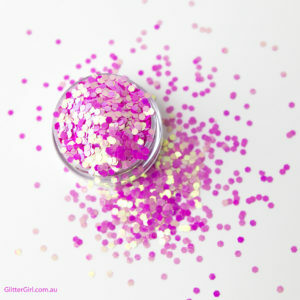 And this one is as glimmering and shimmering as the snowfall on Christmas Eve:Christmas eyebrows, which first made their debut last year and are now back for round two. Glittery, jingle-bell covered brows are the the latest in the wacky brow trends taking over Instagram-remember wavy brows, or even better, feather brows?-but this one hits in that uncanny valley of somehow looking like a filter while not being one. Who needs an Ugly Christmas Sweater when you can rock the Christmas spirit on your face all year long? 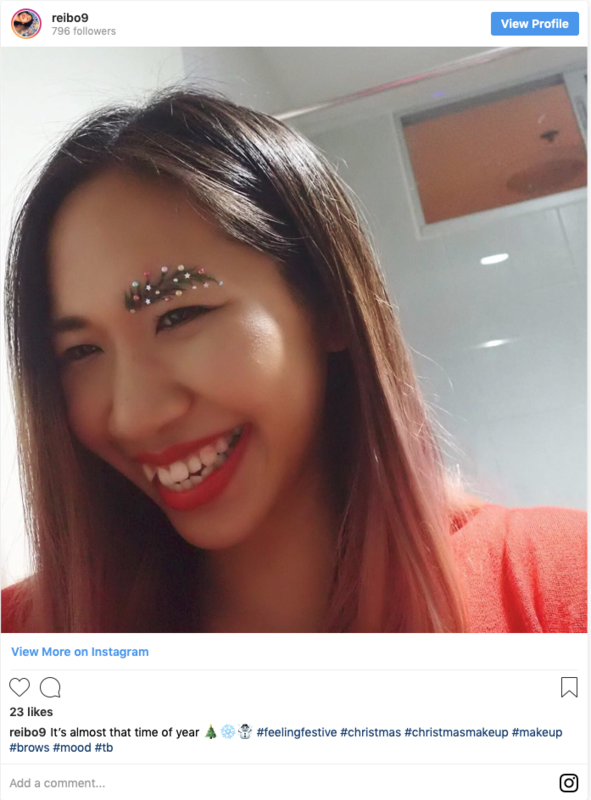 Move aside, red lipstick, come to me, Christmas eyebrows. 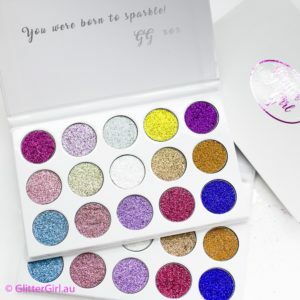 The trend started last year, with beauty gurus brushing and waxing their eyebrows to look like branches, setting them with wax, and attaching baubles, glitter, and even stars to resemble the most festive of holidays. 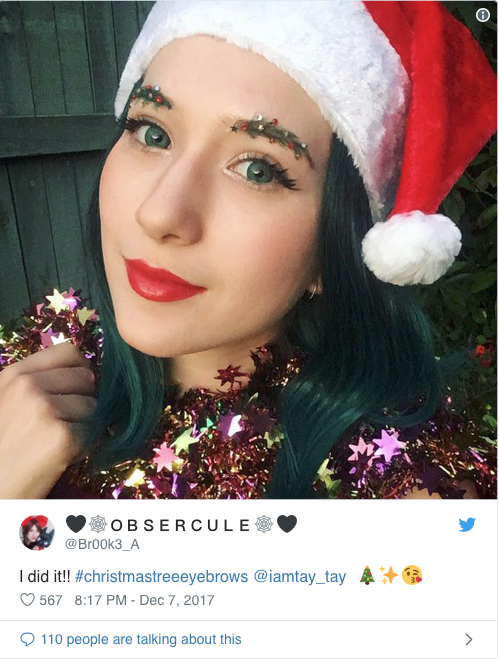 Instagram user @taytay_xx deserves a lot of the credit for launching the trend in December 2017, and it really took off with this holiday season. 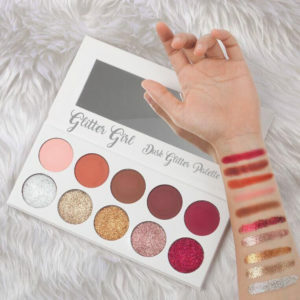 It’s great because if you are going to endeavor into this look, that’s the very definition of extra, you can choose to go as minimal or as over-the-top as you like, just like your mom’s Christmas tree. Is it just me, or is Christmas extra Christmas-y this year? 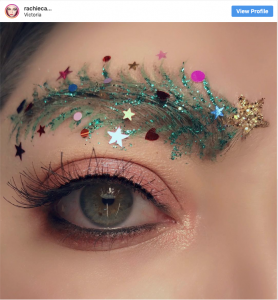 However, until the Queen of Christmas Mariah Carey wears these brows while singing “All I Want For Christmas Is You” next to the King of Christmas Michael Bublé, then it’s not an official #festivemoment trend quite yet, but it sure is nice to look at. 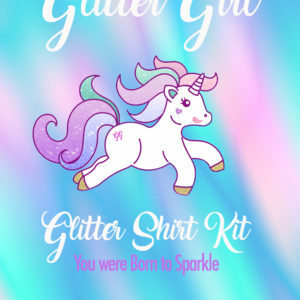 We sell Hypo allergenic, cosmetic grade, cruelty free Glitter Makeup, Vegan loose Glitter, Glitter filled Accessories and novelty gift ideas for you and your friends.